Eleventh-century Spain is divided into Christian kingdoms and Moorish strongholds. 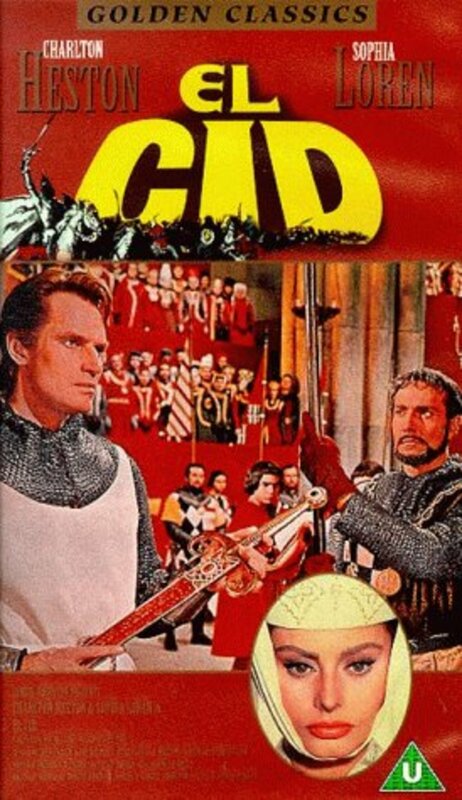 The young Rodrigo Diaz de Bivar--dubbed El Cid by his followers--vows to see his country at peace, free from the invader. Vigorously brave and resourceful, the noble knight hates bloodshed and faces treason charges at court for the clemency shown to some emirs. 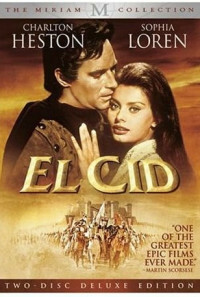 His accuser, Gomez, father of his fiancée, Chimene, dies in the resulting duel. Chimene's avowed vengeance plot fails and Rodrigo is given her hand; the marriage is not consummated and she enters a convent. On Ferdinand's death, his kingdom is divided among his three children. 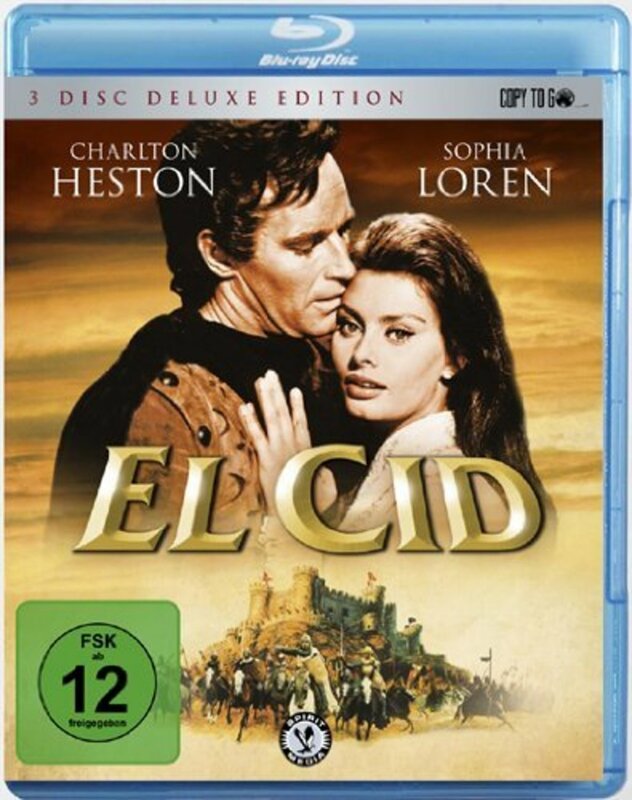 Sancho challenges the decision and imprisons Alfonso, who is released by the Cid. The African war-lord, Ben Yssef, takes advantage of the quarrel by having Sancho assassinated. 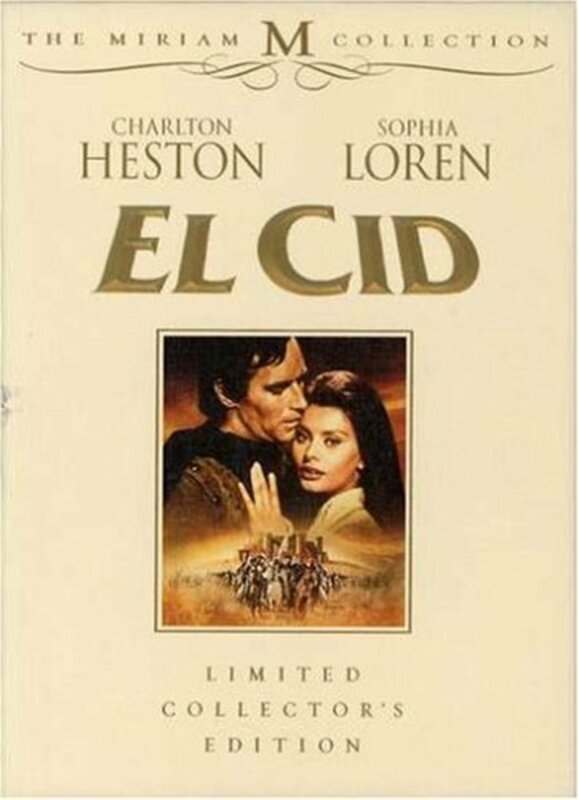 Alfonso now claims that throne, too, and exiles the Cid. 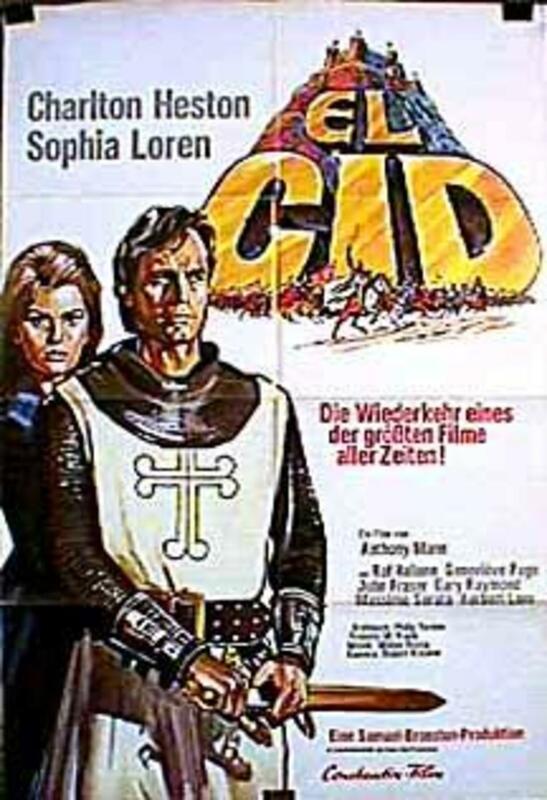 Chimene realizes the nobility of her husband and joins him, but returns to the convent with their two children, when he goes into battle against Ben Yussef. 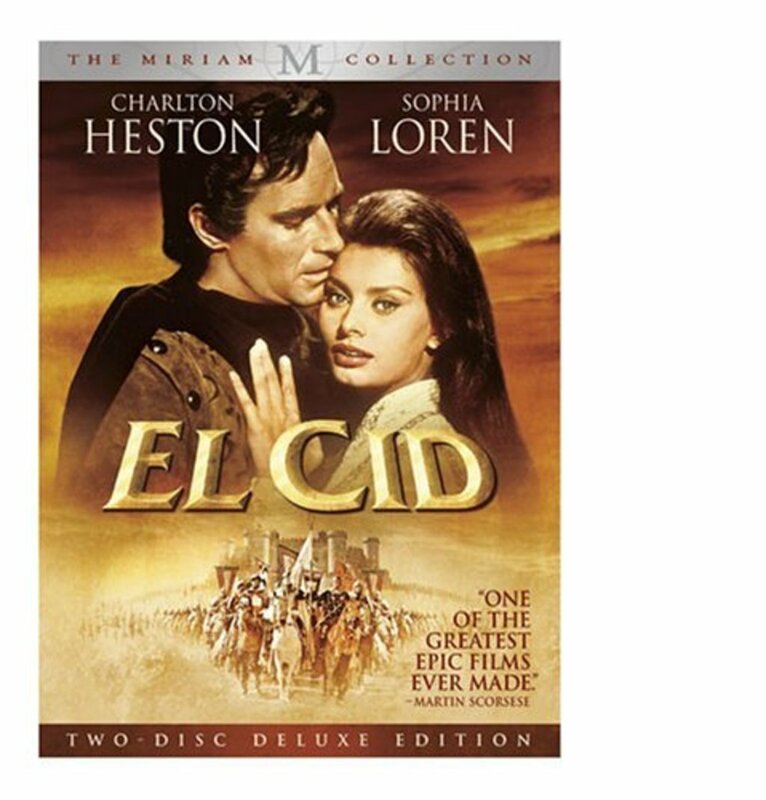 The years pass, El Cid becomes a revered warrior, but refuses to aid Alfonso, preferring his own strategy. 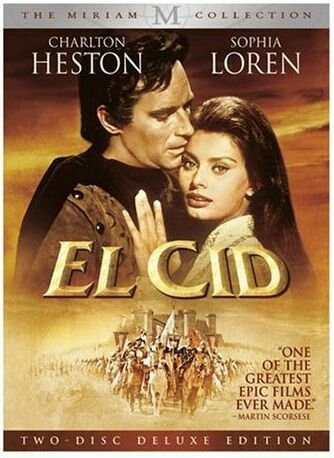 He lays siege to Valencia, catapulting food into its starving garrison; when the Valencians kill their evil ruler, Al Kadir, they offer the crown to the Cid. He sends it to Alfonso, who rushes, hysterically gratified, to his side. 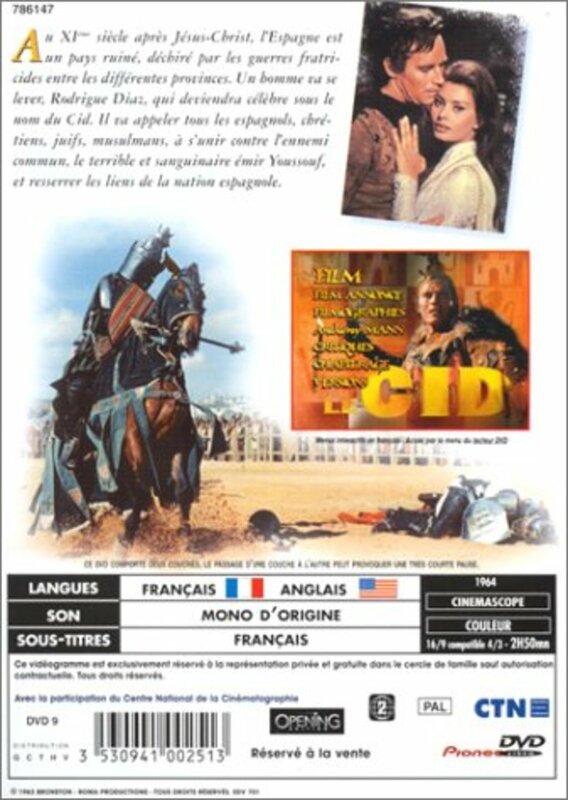 But the Cid has been hit by a stray arrow. 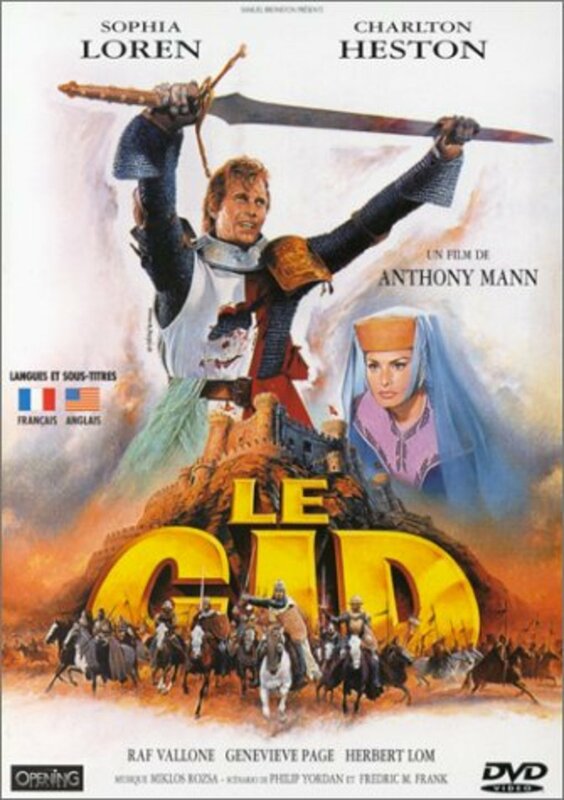 Attended by Chimene, he hides the wound from his men and prepares a final bid to drive the Moors from Spain. Regions are unavailable for this movie. 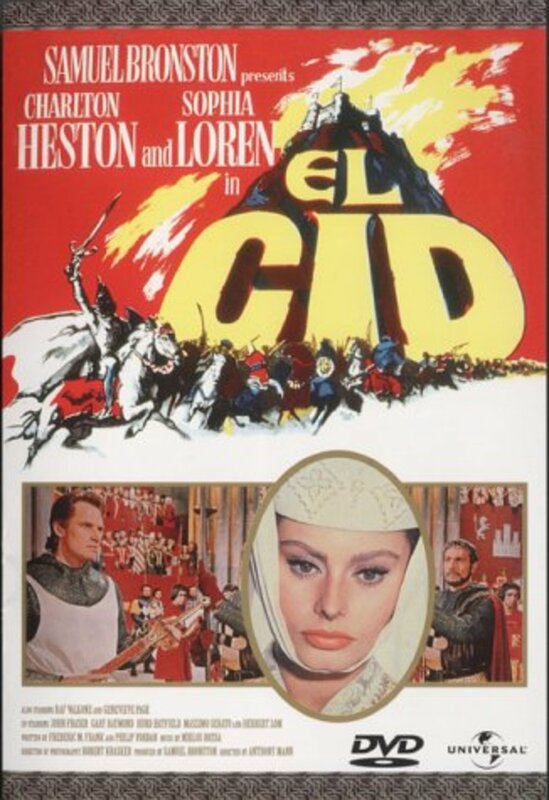 Click the "Watch on Netflix" button to find out if El Cid is playing in your country.